It is important that you choose the best and most professional moving company to have a hassle free and safe moving experience. There are several factors apart from the credential, number of years in business and the price for their service to consider. You have to choose a company that will ratify the method correctly and pack your belongings according to their nature, fragility and weight. This will not ensure proper packing but will also ensure proper loading to nullify chances of damage. They must take care of all the items and pay attention to every detail to ensure security and safety of the items. The professionals should be skillful about the job and must be highly trained so as to know that inflammable items are to be transported separately and with extra care to ensure safety. They must also know that pressurized containers are not to be packed with tight packing materials and much more. Putting fragile items below and heavy one on top of it will mean that you are seeing the fragile ones for the last time and hope not to get it back in one piece. Packing and securing valuables, plants that you want to carry and antique pieces that you may have all require specialized skills. Location of the company is very important as you will need to call them up anytime. It is equally important to choose a local company so that they are easily accessible. You can get useful feedback from the neighbors and local residents before you choose the right one. Highly recommended companies with highest rating and positive reviews will reduce risk and increase the assurance of safe delivery. Lastly and most importantly, compare their service with their quotes to make sure you are not overcharged or being ripped off. 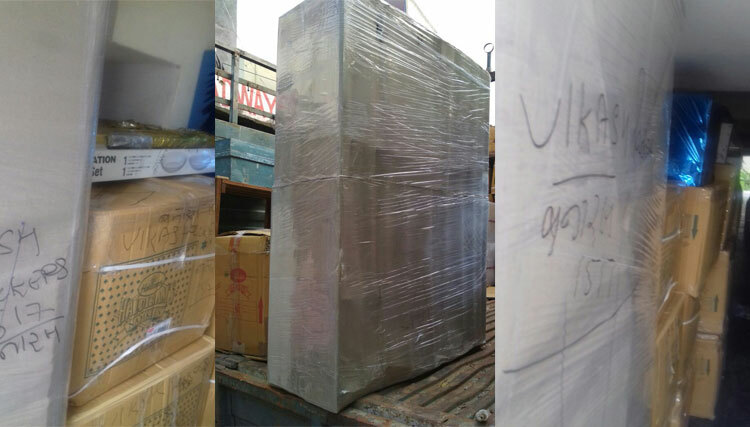 When you call Vikas Packers and Movers you get the assurance of safety and security of your goods. You will also get the assurance of on time delivery from the experts.